I have been experimenting with a new, for me, photographic techniques, free-lensing. I have experimented with this before, but this week I I took some time to read more about the technique and experiment with more intent. I have made some notes just in case you are interested in how this works or want to try this yourself. Free-lensing, defined as a technique used with interchangeable lens cameras in both film-based and digital photography. The lens is detached from the camera and held in front of the lens mount by hand during exposure. This allows the lens to be tilted or shifted creating a similar effect to a perspective control or “Tilt-Shift” lens, only with a lower degree of fidelity. The result is a combination of selective focus and light leakage which are used creatively to create surreal imagery. The lens used does not necessarily have to be native to the brand of camera, since it is not physically attached. In addition, the lens may also be reversed for Macro Photography. By shooting through a lens backward, increased magnification can be achieved. One of the by-products of free-lensing is the introduction of “light leaks” which can be controlled to some degree and produce toy-camera effects similar to those achieved with a Holga or Diana Camera. Power the camera on set the focus on manual and open it to infinity. Power the camera off, then detach the lens. Turn the camera back on and hold the lens backward against your camera body. Then, move closer to the subject, within inches, until it becomes clear and click the shutter. TIP: Remember, just the slightest movements (wind, camera shake, etc) really can affect your focus so try to hold your camera as steady as possible. Also, check the image on the back of the camera. Adjustments to your exposure may be necessary. I was using a Canon 5D Mark IV and found that if I held down the Depth of Field preview button while removing the lens it will lock the aperture closed to the f-stop setting. Keep in mind that the smaller difficult to see through the lens aperture. I have read conflicting views on using Live View. When you turn your camera to Live View you are increasing the exposure of the sensor to the outside world, however, it is easier to see the effects in real time and watch your focus. It is best to use this technique in a relatively dry, dust-free environment. Once the photos have been captured, the lens should be remounted or a body cap installed to protect the mirror and sensor from dust or moisture. Frequent use of a bulb blower or electronic cleaning is recommended. Let me know if you give this a try. Hi Marie, it’s nice to hear you like the images; I hold the camera with my right hand, index finger on the shutter release, and the lens in my left hand between my thumb and fingers, with the camera sitting on the heel of palm on my hand, so the lens is very close if not touching the camera. If the lens is too far away from the camera body there might be to much light leak, It does take a bit of practice. Let me know if you give it a try! Hi Marie, I also wanted to tell you, that I have trouble getting a great image; especially outside, the smallest movement and things are out of focus, so I go for lots and lots of images and weed of the once that I don’t like later. You can probably improve your chances by bringing the flowers into your home and setting up the tripod. 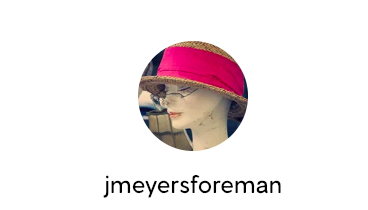 ©meyersforeman; all rights reserved; all photographs and content are the property of meyersforeman photography operated by Janice Meyers and cannot be used without written permission for any purpose.